show, Get Hypnotized. Peter is very skilled and very funny. Peter's show is just right; it was just the show we were looking for. " "Peter Gross was phenomenal. I literally watched a man fall out of his chair onto the floor from laughing so hard! People told me that they have never laughed so hard in their lives." 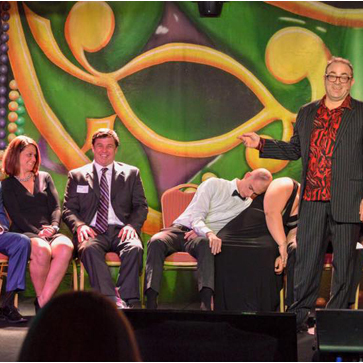 Master hypnotist Peter Gross gets into your head and creates a show full of surprises, amazing scenarios and 'family friendly' hypno-fun. GET HYPNOTIZED! is the culmination of years of study combined with years of stage time, and the result is comedy gold. Imagine... You look down at your hands and suddenly realize that you have ELEVEN FINGERS ! How would YOU feel? Imagine...a committee of volunteers talking to celebrities through phones hidden inside their shoes? Imagine...your group laughing louder and more enthusiastically then you've ever heard. And then the applause as YOU walk on stage to thank the guy who made it all possible. This is THAT show, your show. 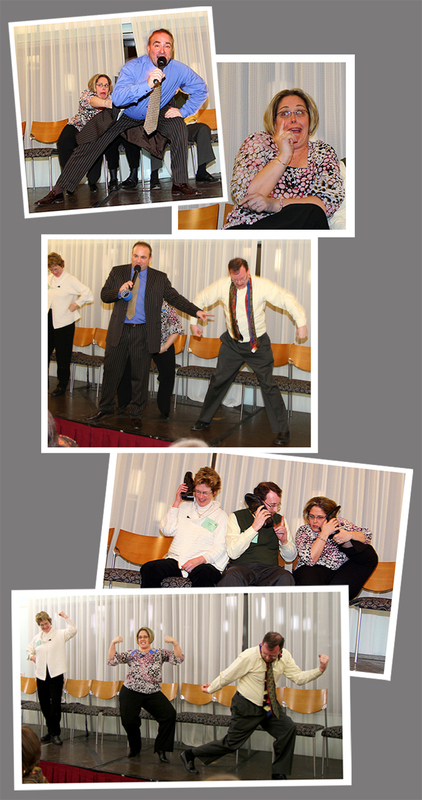 MASTER HYPNOTIST Peter Gross has toured the world on land and at sea. Peter’s has had extensive cruise ship contracts for companies including Royal Caribbean, Princess, Carnival, Cunard and Celebrity Cruise lines which have taken him to far flung ports including Tierra Del Fuego, Tahiti and Vladivostok, on the far east coast of the former Soviet Union. He has been invited to perform on college campuses including Harvard, Brown and Yale and for Fortune 500 companies including McDonald’s, Microsoft, Intel, Bain Financial, Ecco Footware, Prudential Bache and General Dynamics. Although Peter travels internationally, he’s always excited to perform in his own backyard. Peter has been seen all around over the North East including Portland, Nashua, Manchester, Hartford, New Haven, New York City and at every venue around Boston. While many comedians prefer clubs and bars, Peter has always craved audiences that are smart and discerning and his humor is always clean. He’s been invited to the White House, performed at the Kennedy Center, Canada’s National Theater and has made numerous TV appearances. He has done shows in Germany, Spain, Scotland, and Japan. He also won two silver medals at the Oranjeboom International Variety Performer’s Competition in Rotterdam, Holland.